I am very gentle, affectionate, home loving, caring, polite, kind, sincere lady. I love life and I like to learn something new about the world. Treat people as you want them treat you and never give up - this is my motto. Would you like to take a few dancing lessons with me? I am looking for a man who can be my second half and who wants and is ready to build a relationship which will make both of us happy. I don't search for an ideal man. I simply want to meet the man with whom the spark in my heart will flash. I want this spark to turn into eternal fire which we will create together. I wish to give my best to a man who would take me as I am, who would appreciate my thoughts and opinions, who would care about me, who would able to understand and support me. Of course, I would do the same for him. sweeteliza1 is a Female dating in New Mexico, United States. 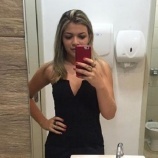 Check the description of this 29 years old profile, she is Mixed and Christian maybe this matches your profile description and you can both start dating in Ireland for free.